How to watch Criminal Mastermind: Season 1 (2015) on Netflix Singapore! Sorry, Criminal Mastermind: Season 1 is not available on Singaporean Netflix, but you can unlock it right now in Singapore and start watching! With a few simple steps you can change your Netflix region to a country like Argentina and start watching Argentine Netflix, which includes Criminal Mastermind: Season 1. We'll keep checking Netflix Singapore for Criminal Mastermind: Season 1, and this page will be updated with any changes. 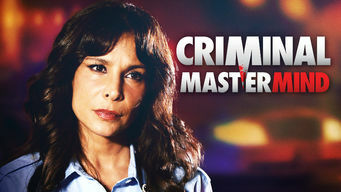 Criminal Mastermind: Season 1 is not available in Singapore BUT it can be unlocked and viewed! When a girl turns up savagely slain, her distraught mother begins a perilous mission to prove that a renowned psychiatrist is a psychotic killer. Season 1 of Criminal Mastermind has 42 episodes. Because different Netflix countries have different availability for episodes, you'll need to check the episode listing below to see which are available in Singapore. Verónica swears in front of her daughter’s coffin the she will seek vengeance on her killer. Alicia suffers from low self-esteem and seeks help. After her first psychiatric session, Alicia has a complete change of attitude, causing her mother to become worried. Gerardo follows Sarampión. News spreads that Sofía was held in a neuropsychiatric facility for her own protection before the trial. Juan Pedro comes to see his father, Raimundo. Alicia speaks with her sister Marcela about what happened between her, Tomás, and Jerónimo. Sarampión tells Agustín that Gerardo betrayed him. Verónica hires a doctor for Alicia. Raimudo Acosta is questioned over the death of Fernanda. Consuelo asks Ezequiel to testify. Dr. Raimundo Acosta finds out that Martha was speaking with the detective and threatens her. Raimundo comes up with a plan to bring oximol to the market in very dangerous doses. Soledad escapes from the clinic. Elías asks the captain to transfer him. Agustín wants to get rid of Sarampión and Elías. Hortensia provides a sample of oximol to the clinic. Alicia receives Raimundo’s invitation. Consuelo calls Laura to investigate the death of her husband. Julio tries to reestablish a relationship with his daughter Marisol. Laura and Consuelo seek damaging information on Dr. Acosta. Dr. Raimundo Acosta, a noted psychiatrist, begins his political campaign by attending various social events. Governor Andrew’s wife goes to her first consult with Dr. Acosta. Detective Julio Villalobos is suspicious of the doctor. Dr. Acosta follows his plans to control his patients and gain more power. Alicia has her doubts about therapy. Gabriela and Julio sleep together. Alicia insists on searching for Dr. Acosta despite what happened. They end up finding another woman in his house. Julio visits the mother of a victim. Complaints over side effects of the new drug worry investors, politicians, and other persons involved with the laboratory. Julio decides to help Verónica with the forensic exam. Laura tells Julio everything she currently knows. Verónica wants to know what happened. Alicia is still determined to be with Raimundo despite her mother’s opposition. Julio tells Omar how he feels about oximol. Marisol invites Juan Pedro to the movies. Verónica asks Julio to help her with her daughter’s case. Gabriela and Aurora take a blood sample. Aurora and Gastón discover a new clue. Juan Pedro meets Marisol’s father. Braulio, Miguel Ángel, Andrew, and Raimundo are worried. Miguel leaves the country. Gerardo searches for Josefina Martínez to tell her what he knows about Raimundo. Gabriela and Julio question Dr. Braulio. Verónica and Ezequiel’s relationship continues to grow. Marisol tells Juan Pedro that her father is carrying out an investigation on Raimundo. Diana tries to lift Alicia’s self-esteem. Julio proposes that Gabriela move in with him. Raimundo finds Marisol and Juan in his house. Alicia threatens Raimundo with publicizing the evidence that she has regarding what he’s doing with his patients. Verónica has a bad premonition. Verónica goes to the police and demands that they search for Alicia. Later, she threatens to kill Raimundo if he doesn’t return her daughter. Marisol helps Juan Pedro find out what his father is hiding in one of his rooms. Diana, Samantha, and Anthony call Raimundo. Anthony searches for Raimundo in his consulting room and makes him believe that Alicia is doing well, offering him a ticket to go find her. Raimundo faces off against Hortensia in court. Alicia and Anthony have disappeared without a trace. Verónica finds her daughter’s diary. Verónica finds a video of Alicia which incriminates Raimundo Acosta. Julio and Gabriela investigate the doctor, but he dodges their questions. Salomé asks Raimundo to leave his partner. Gabriela blames herself for not realizing that Alicia was in danger. Juan Pedro takes a shining to Marisol. Verónica is targeted after Alicia’s death. Everyone looks into possible reasons for the murder. Verónica is apparently in prison during her daughter’s funeral, it’s now up to Marcela to take care of everything. Julio and Gabriela try to get bail. Aurora and Omar arouse suspicion that the are having an affair. Ezequil goes to pay Verónica’s bail. Julio and Gabriela speak with Verónica about what happened on the night that Alicia and Anthony disappeared. They try to reconstruct his last day. Diana agrees to confess what she knows to the police. Omar meets with the mayor and the prosecutor, they pressure him into clarifying things. The governor sets a trap for Verónica and diverts the journalists’ attention. Later, Verónica hears the deal that he makes with Omar Zamora. Verónica gives Alicia’s diary to Julio to help with the investigation. Laura is unable to find Carla and calls detective Villalobos and Consuelo. Consuelo finds a threat to her son Miguelito and calls the detective to analyze its source. The prosecutor gets an order to bring Raimundo to trial. Raimundo pays bail and gets out of prison. Martha tries to escape and Julio leaves in search of her. Consuelo sends her son to Spain to protect him. The police clear Dr. Acosta’s house and clinic and search for proof in order to accuse him over Alicia’s death. Juan Pedro and Mari call Dr. Ezequiel in order to get psychiatric help for Osiris. Gabriela is jealous over Julio and Verónica’s relationship. Marcela’s father reappears and causes friction between the mother and daughter. Juan Pedro tries to get his grandmother to detox. Verónica, Julio, Garbiela, and Raimundo are submitted to interrogation by the lawyers. The governor’s wife is still missing.